Blueberry Basket Braided Jute Table Runner, by Capitol Earth Rugs. Features stenciled artwork of a basket of blueberries, with braiding in blues, natural, and creme. Measures 13 x 36 inches. Jute is a natural fiber, considered to be a sustainable, environmentally friendly material. Water repellant, safe to put near a fireplace, spot clean with soap and water (or dry clean). Burgundy, Black, & Tan Oval Jute Rug, by Capitol Earth Rugs. Color palette is of burgundy, black and tan. This is for the 20 x 30 inch Rug. Mocha / Frappuccino Oval Jute Rug, by Capitol Earth Rugs. Color palette is of rich browns, black, and cream. This is for the area rug in the larger sizes, which are special order. Sizes are: 3 x 5 foot, 2 x 8 foot, 4 x 6 foot, 5 x 8 foot, 6 x 9 foot, or 8 x 11 foot. Blueberry & Creme Braided Jute Tablemat, by Capitol Earth Rugs. Color palette is mainly light and dark blues, and creme. Measures approx 10 x 15 inches. Made of jute, which is a natural fiber, considered to be a sustainable, environmentally friendly material. Water repellent, safe to put near a fireplace, spot clean with soap and water (or dry clean). Features a color palette of creme and shades of blue. This is for the Chair Pad. Measures approx 15.5 inches round. Light/Dark Blue and Mustard Oval Jute Rug, by Capitol Earth Rugs. Color palette is light blue, dark navy blue, mustard yellow, and creme. This is for the area rug in the larger sizes, which are special order. Sizes are: 3 x 5 foot, 2 x 8 foot, 4 x 6 foot, 5 x 8 foot, 6 x 9 foot, or 8 x 11 foot. Blueberry & Creme Cotton Tweed Placemat, by Capitol Earth Rugs. Made of braided cotton in creme and a variety of blues. Measures 13 x 19 inches. 69% cotton, 22% polyester, 4% Acrylic, 3% Rayon, 1% Nylon, 1% Others; brush or shake clean, spot with a damp cloth, or dry clean. Blueberry & Creme Oval Jute Rug, by Capitol Earth Rugs. Color palette is pretty assortment of blues and creme. This is for the 27 x 45 inch Rug. Made of 100% natural dyed jute. Other sizes and style available! Blueberry and Creme Braided Jute Rug, by Capitol Earth Rugs. Features a color scheme of mainly creme and shades of blue. 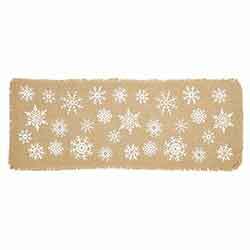 This is for the OVAL Rug, in the larger Special Order sizes - Choose the 3 x 5 foot, 4 x 6 foot, 5 x 8 foot, 6 x 9 foot, 8 x 11 foot, 2 x 6 foot, or 2 x 8 foot. 100% dyed natural jute. Blueberry and Creme Braided Jute Stair Tread, by Capitol Earth Rugs. Features a color palette of creme and shades of blue. This is for the Stair Tread, in the OVAL shape. Measures 27 x 8.25 inches. 100% dyed natural jute. Spot clean only. Blueberry and Creme Cotton Braid Chair Pad, by Capitol Earth Rugs. Made of cotton blend fabric braided into a tweed. This is for the Chair Pad, in the standard round shape. Measures approx 15 x 15 inches, and has 2 sets of doubled ribbon ties. Blueberry Braided Jute Rug, by Capitol Earth Rugs. Jute is a natural fiber, considered to be a sustainable, environmentally friendly material. Water repellant, safe to put near a fireplace, spot clean with soap and water (or dry clean). This is for the Blueberry Braided Round Rug, which features stenciled artwork of a basket of blueberries, with braiding in blues, natural, and creme. Measures 27 inches. As with all dyed jute products, take care to use a pad or otherwise protect items used with them, as colorfastness can be an issue. Blueberry Basket Braided Jute Table Runner, by Capitol Earth Rugs. Features stenciled artwork of a basket of blueberries, with braiding in blues, natural, and creme. Measures 13 x 36 inches. Blueberry Basket Oval Patch Braided Rug, by Capitol Earth Rugs. Artwork designed by Harry W. Smith. Measures 20 x 30 inches. Made of 100% natural jute. Add instant color and personality to your home with our braided 10 inch tablemats, with stenciled folk art in the center. This one features a farmers market box of fresh blueberries, perfect for summer! Blueberry Vine Braided Jute Chair Pad. Features stenciled artwork of a vine of blueberries and leaves, with braiding in blues, tan, and cream. Artwork by Harry W. Smith. Measures 15.5 inches. Has two sets of doubled ribbon ties. Blueberry Vine Braided Jute Rug, by Capitol Earth Rugs. Jute is a natural fiber, considered to be a sustainable, environmentally friendly material. Water repellant, safe to put near a fireplace, spot clean with soap and water (or dry clean). This is for the Blueberry Vine Braided Round Rug, which features stenciled artwork of a vine of blueberries designed by Harry W Smith, with braiding in blues and creme. Measures 27 inches. As with all dyed jute products, take care to use a pad or otherwise protect items used with them, as colorfastness can be an issue. Blueberry Braided Jute Table Runner, by Capitol Earth Rugs. Jute is a natural fiber, considered to be a sustainable, environmentally friendly material. Water repellant, safe to put near a fireplace, spot clean with soap and water (or dry clean). This is for the Blueberry Braided Tablerunner, which features stenciled artwork of a basket of blueberries, with braiding in blues, natural, and creme. Measures 13 x 36 inches. Blueberry Vine Braided Jute Table Runner, by Capitol Earth Rugs. Features stenciled artwork of a vine of blueberries, with braiding in blues, natural, and creme. Measures 13 x 48 inches. Blue Stars Braided Jute Table Runner, by Capitol Earth Rugs. Features stenciled blue stars, with braiding in blues, natural, and creme. Measures 13 x 36 inches. Jute is a natural fiber, considered to be a sustainable, environmentally friendly material.